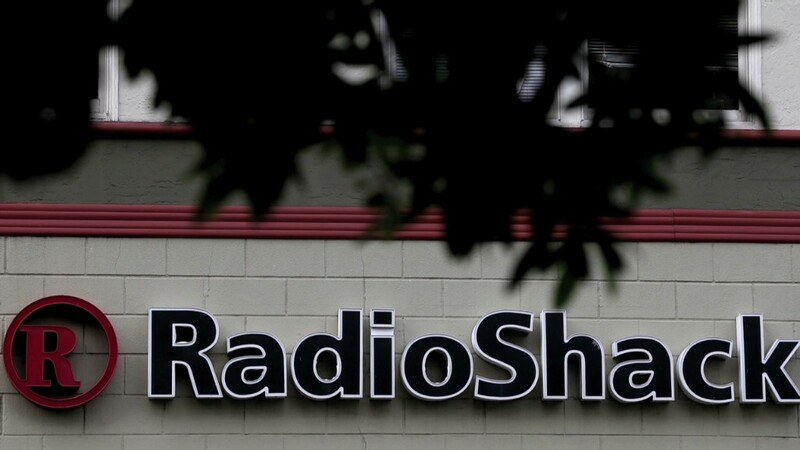 RadioShack's shares are at a record low. 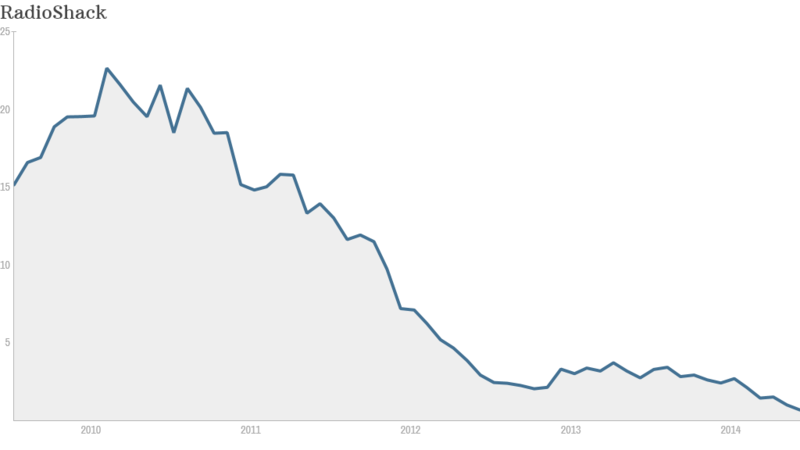 Click on chart for more stock data. RadioShack's future is about as bright as the VHS tapes it used to sell. The chain of 4,000 stores has just $62 million in cash left - a figure that is rapidly approaching zero. Things are so dire that it actually doesn't have enough money to close the 1,100 locations management says it needs to shutter. Investors, credit rating agencies and the company''s lenders seem to be in agreement that RadioShack's days are numbered. Even the company's own Super Bowl ad mocked its stores for being decades out of date. "They have been irrelevant for a long time," said Robin Lewis, CEO of The Robin Report, a retail strategy newsletter. "If they're not the sickest patient in ICU, they're minutes away from being rolled in." Last month research firm B. Riley & Co. made the unusual move of cutting its price target for RadioShack (RSH) shares from $1 a share -- to $0. Shares of RadioShack (RSH) , hit a record low of 62 cents Thursday after Moody's said it expects RadioShack to run out cash by Fall of 2015. "A significant turnaround has to happen for them to survive. But we haven't seen any evidence of a turnaround yet," Moody's analyst Mickey Chadha told CNNMoney. Moody's now has RadioShack debt only two short steps above a default rating. And it will probably be cut further. That's forcing the company to burn cash even more quickly. "That 1,100 store closing plan was in essence saying they don't have the capital to manage 4,000-plus stores," said Chadha. "But the lenders are taking a dim view of the turnaround themselves and positioning themselves for liquidation." The company's huge network of stores has done little to help it hold off competition from Amazon (AMZN) and other online retailers. The company now depends on smartphones and tablets for more than half its sales. That's a competitive, low-margin business, said Chadha. And each smartphone sale hurts RadioShack's chance to sell its higher-margin products, such as digital cameras and GPS systems..
Company officials did not respond to a request for comment about Moody's outlook or its cash problems.